No surprise because full service has to be FULL! 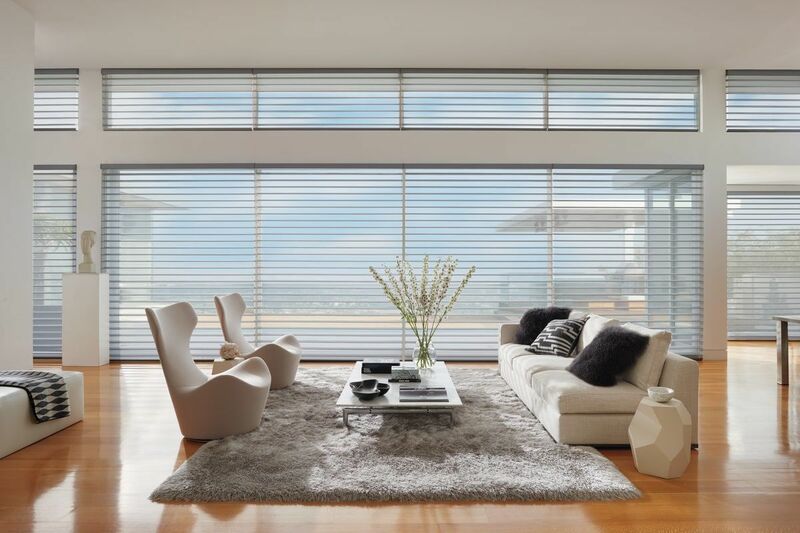 We are a Hunter Douglas Showcase Dealer and offer a full range of their products from Silhouettes, Duettes, roller shades and more! We also carry Maxxmar hard coverings to round out all of our clients needs as far as value and product are concerned. We are happy to provide free in studio design for your hard window coverings needs, just fill our our shade measuring form for each window and bring it along with a photo and we will get you started on your way to Perfect Blinds! If you want the full service, come to your door experience we can do that too! Consultations start at $150 and we bring everything right to your door along with our expertise and cheery dispositions! We are also able to provide full motorization and integration with home automation systems. 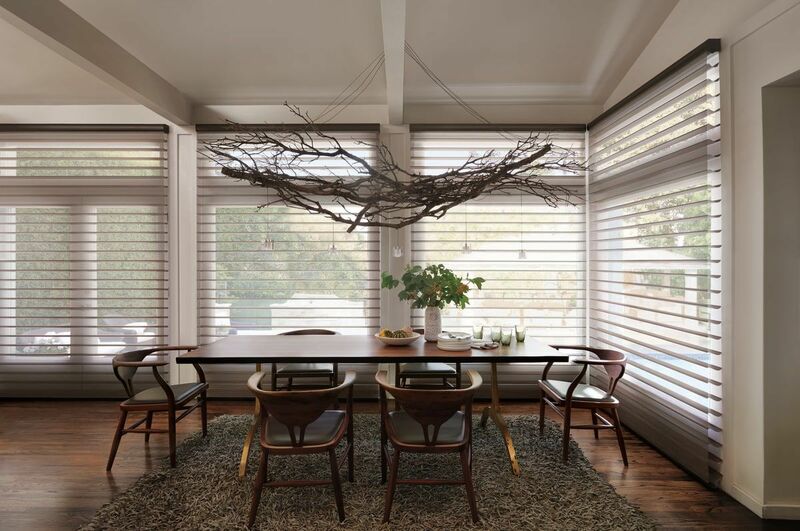 Motorizing blinds and drapery are the way of the future and we can usher you into it if you like! We will work closely with your automator, electrician and contractor to ensure your blinds are wired correctly, to code, and function with the ease of an app on your phone if you so desire. We are well versed in all areas of execution of large or small motorization projects and can also provide motorized tracks for your drapery too! Motorized projects require considerable time and effort to get them to run smoothly so we always recommend you contact us before adding wiring so we can be involved every step of the way to ensure a perfect outcome! We pride ourselves on offering service and our blinds are priced competitively but also in such a way that when there is an issue down the road you can call and we will be right there to help! We know there are other dealers who will give you that great price out of the gate but then they leave you high and dry when you need something later on and that’s just not our style! You get what you pay for and we hope you like great customer service as we do when it comes to blinds.